Chloe was born and raised in England and moved to South Florida in 2001. She has been around dogs her whole life and started learning how to train dogs when she was 10 years old with her first personal dog, Sherry, a Yorkshire Terrier. She taught Sherry all kinds of tricks and quickly discovered her passion. In 2006 she joined the US Army as a Behavioral Health Technician and had to put her training to the side. 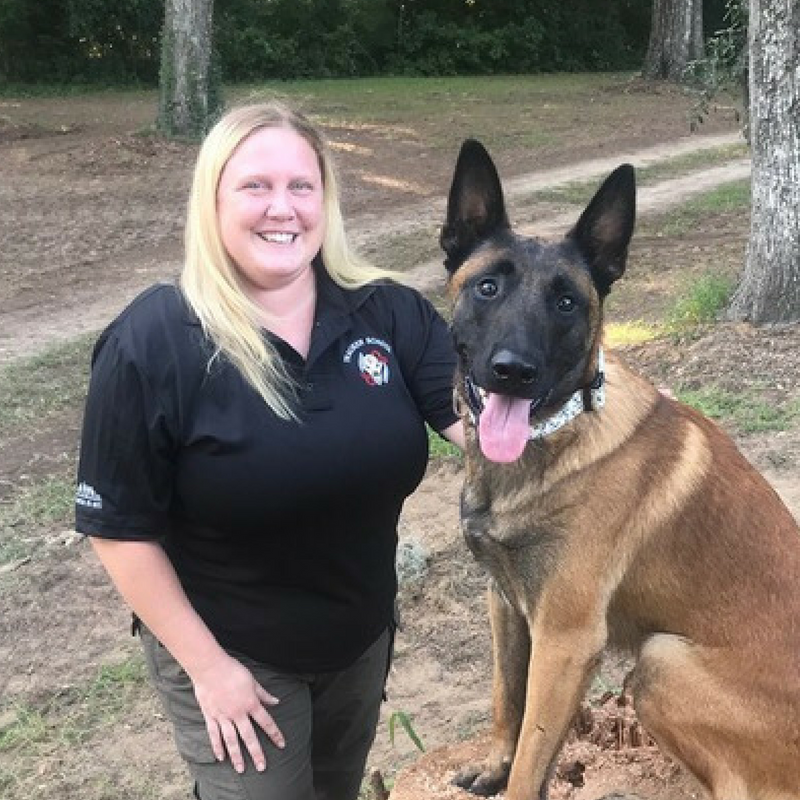 When she was stationed at Fort Bragg, NC she started to pick up training again and joined a local French Ring club with her Belgian Malinois, Ranger. Chloe interned under a trainer for close to a year and taught many group classes, private lessons, and volunteered at the local animal shelters. She also provided basic obedience training to spouses of deployed Service Members free of charge. Although she still attended as many conferences and training events as she could with the time off she had, she knew she wanted to do it more. She eventually decided after 10 years, 4 duty stations, and a brief stint in Iraq, to leave the Army and pursue training as a career. She attended the Professional and Master Trainer course at the Tom Rose School in January 2017. While there she gained a wealth of knowledge in various disciplines from advanced obedience, detection, and protection work. She has had her hands on hundreds of dogs in the last 10 years in a variety of venues and sports including dock diving, competition obedience, French Ring, Protection Sport Association, and detection training. Chloe lives in Hollywood, SC with her 3 Belgian Malinois, 1 Dutch Shepherd, and a Corgi, who she competes in dock diving, lure coursing, and PSA with.